The air cushion mask is made in medical materials. The soft, inflatable air cushion is intended for fitting the patient's face, ensures flexibility and air tightness. This air cushion mask can be connected with multiple medical equipment such as anesthesia machines, ventilators, oxygen- machines, hyperbaric oxygen stores, inhaled painless delivery instruments, and emergency breathing apparatus. A variety of air cushion mask sizes are available. 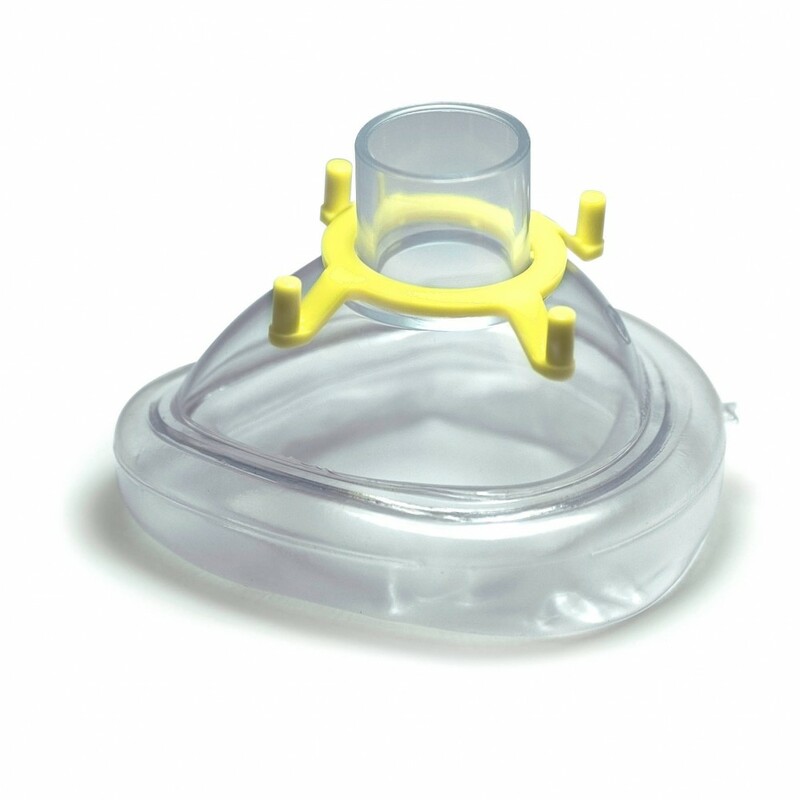 The disposable aircushion mask is for resuscitation, anesthesia and other oxygen or aerosol delivery applications. Soft clear crown and cushion design for better patient observation, and soft light weight air cushion offers patient great comfort. The air cushion mask comes with color coding hook ring for easy size identification. Valve cushion allows for adjustment of cushion air volume.